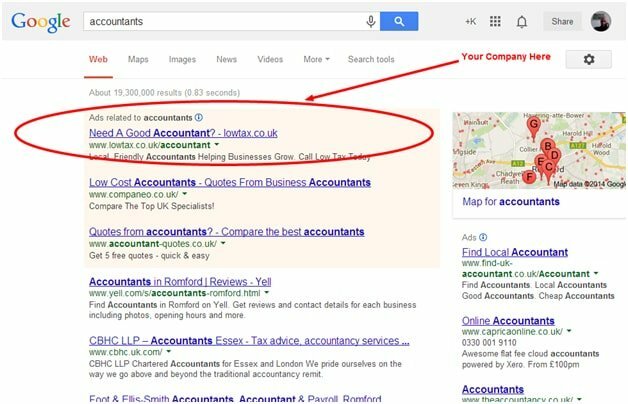 Every month there are 60,500 searches a month for the phrase accountant. 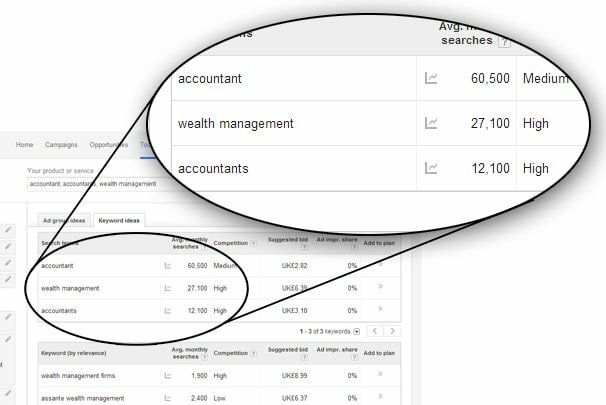 There are also 27,100 searching for wealth management. People are turning to the internet and in the main to Google to find services and products. The image below is a tool Google provides us to research who is searching for what and the figures are encouraging; people are looking for your services. Google has the largest share of the UK market. Around 84% of internet searches are made using Google. Every day there are a staggering 5,922,000,000 searches on Google. Gone are the days people will open the Yellow pages or look at a directory. Yellow pages has now become ‘the little yellow book’, not because it is cute but because hardly anybody uses it or advertises in it anymore. Trafiki have partnered up with Google and are giving away £150 worth of free vouchers to any new client’s who use our services. Let us help you find new business at a price you can afford. Call us today or email for more details on our Accountancy Offer. This could be your company with our help.